New homeowners in On Top of the World will be able to option in to an Amazon smart home package. Amazon Alexa is here to make homes smarter at one of the most popular 55+ communities in Central Florida. At On Top of the World in Ocala, active adults in the market for a new house can choose between new and resale single-family and attached homes. Buyers looking to build a new property in the community now have the option to include an Amazon Smart Home Package. The Smart Home Package is a collection of 10 devices that work together through the Amazon Alexa technology to keep basic home management tasks more efficient. It brings automation to the home, making daily life a bit simpler. 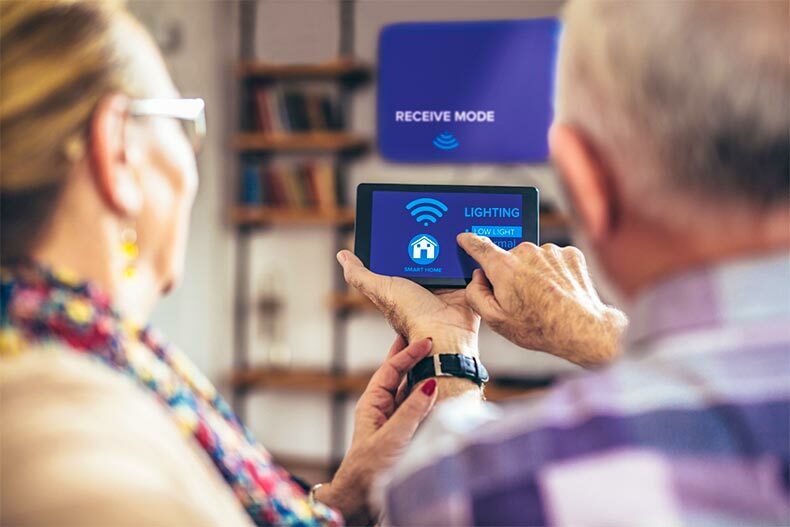 These smart devices can be used to set the thermostat, turn on lights, play music, and even monitor the home when residents are away. The commands are largely pre-programmed and voice-activated, allowing for things around the house to turn on and off without the touch of any buttons. On Top of the World, through Amazon, is offering a hands-free and maintenance-free lifestyle that helps active adults with everything from cooling their homes more efficiently to remembering appointments and checking to see who is at the door when the doorbell rings. On Top of the World is one of the largest communities in Florida. It consists of 10,000 homes, and while any home can be wired to become a smart home, the community’s new construction makes it easy for buyers to move in with their technology already in place. The Liftmaster® Garage Door Opener, which is controlled remotely through cell phones. An Ecobee 3 Lite Wi-fi Thermostat that helps residents control in-home temperatures from anywhere. The Lutron Pico Lighting Remote, an easy way to turn your lights on from the driveway before you enter the home. The Lutron Smart Lighting Dimmer Switch, so you can control lighting according to time or voice commands. The Hydrawise™ Smart Irrigation function, which allows you to hydrate your lawn more efficiently, and without a hose. It waters your lawn based on local weather data. One of the benefits to buying a new home at On Top of the World with this option is that you won’t have to install it yourself. Everything will be set up before your move-in date, and you’ll simply have to sync your mobile devices with the smart home platform. Computers are becoming more human, and Alexa is an excellent example of that. The more you use this Amazon device, the more she gets to know you and your habits. You can program your Amazon Alexa device to understand what you mean without actually giving commands. For example, if you have Alexa programmed to shut off all the interior lights when you go to bed, instead of reading her a list of lights to turn off, you simply need to say: “Alexa, good night.” She will know to turn off your lights and adjust your thermometer. She can even arm the alarm at your house and turn on soft sleep music if that’s what you program her to do. When you say: “Good morning, Alexa,” she might be programmed to turn on your lights and start the coffee machine. On Top of the World is already one of the most popular 55+ communities in the country. The Amazon Smart Home Package is just the latest in modern upgrades offered by On Top of the World. This community has been innovative in the way it delivers housing and amenities to 55+ residents since the first homeowners moved into the community during the early 1980s. The Recreation Center includes steams and saunas as well as a fitness center and a whirlpool. There’s an outdoor pool, a library, racquetball courts, and shuffleboard courts. On Top of the World had pickleball before it was cool. There’s also a Hobby Center with a card room, woodworking shop, and a conference center. 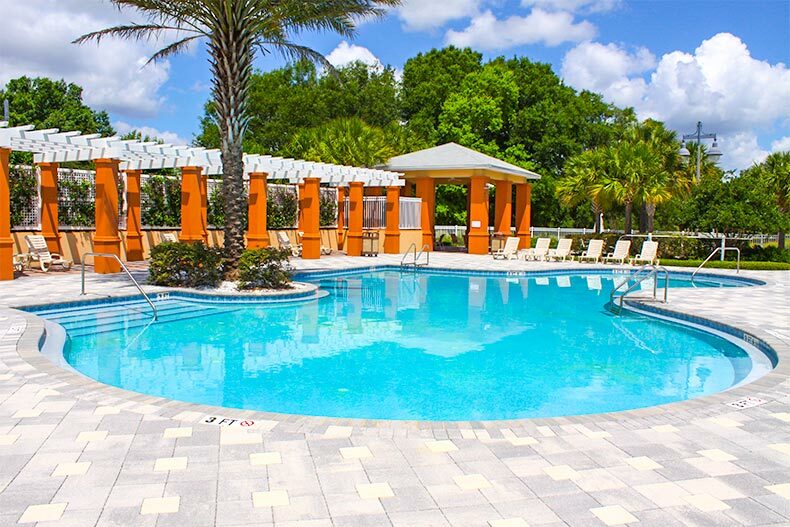 At The Arbor Club, Ten-Ply Plexicushion tennis courts are available, as well as a ballroom and an Olympic-sized indoor swimming pool. Additional community centers and Circle Square Commons offer a coffee shop, an ice cream shop, and a town square with an educational center. The properties come in dozens of models and floor plans, ensuring there’s a home for any budget and lifestyle. The properties start at below $100k, and they go up into the $400s, depending on the square footage and upgrades that you want.